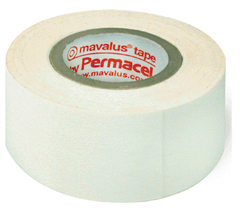 Made with superior adhesives, mavalus tape sticks where traditional adhesives fail. Great for holding posters on walls and is removable from most surfaces. mavalus even sticks to brick, cinder blocks, drywall, plaster and other tricky surfaces. Customers who have tried it come back for more! 1" x 10 yards.